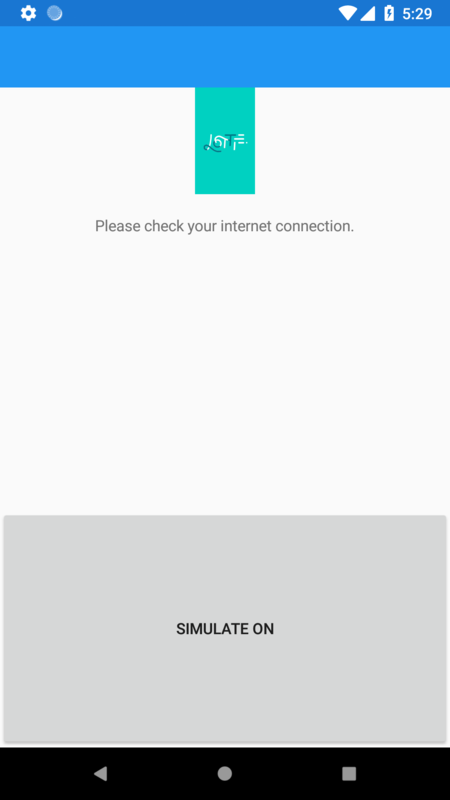 I'm developing an application using xamarin forms , I have to check the connectivity , i'm using the connectivity plugin . So , what I want , if there is no connection , I want to go to no navigation page , and after the navigation is back , I want to go back to the page where I was . What I was able to do is , to go back to the main page of the application , doing this on my App.xaml.cs . Is there any way I can go back to the page where Exactly I was ?! This uses FreshMvvm for its MVVM framework - that's just my preferred quick and simple MVVM framework. It consists of a MainPage with controls whose visibility is controlled by the internet connection status. You can also toggle the status manually to save switching airplane mode. It's Android only - for some reason Lottie wouldn't work on my iOS device. The XAML layout is very much quick and dirty! Note the XAML comment about setting HeightRequest and WidthRequest on the Animation - without this, the Animation won't render on switching visibility back on. Forgot to say that the sample was built with the latest Xamarin versions - so you may have some stuff to do to get it working with older versions. Regarding FreshMvvm - yes, I'd recommend it. It provides a lot of the essential MVVM stuff which you need. We've used it on iOS and Android - but not UWP (it does support UWP). /// This base PageModel provides the common functionality which all PageModels in the application need to support. // IMPORTANT - unhook the handler for the ConnectivityChanged event. This avoids memory leaks and stops multiple invocations. Text             ="This is the main page"
Text             ="Please check your internet connection." The second page is much the same as the first - but reuses the NoInternetView and of course inherits the BasePageModel and so has the processing for detection of connection change etc. available. @AchrafBenalaya You should save the state of current page in OnDisappearing override and restore it if saved state present in OnAppearing of that page. @ShantimohanElchuri is this will work fine on all platforms ? can you show me how to do this ? Cause On Android, OnDisappearing is called when the user switches to another app on the phone (means when your App goes to the background). Do you need two completely different pages? How about updating the appearance of the main page depending on whether there is connectivity. @JamesLavery do you mean I dont have to add a page for no connectivity ? and instead I just call a function to check if there is a connectivity at every page ? I'll put together a quick demo. Are you primarily testing on Android or iOS? I'm testing on Android , iOS and UWP . 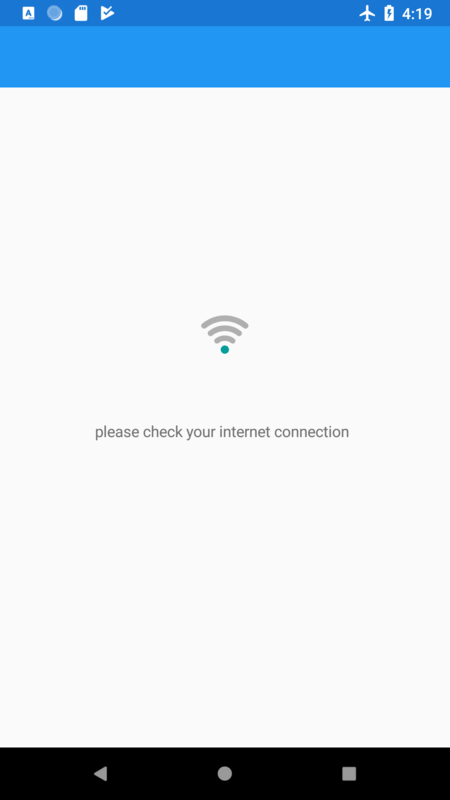 Is your Lottie animation shown when there is no internet or when there is internet? Thank you James , I'm going to try this right now , just launched the project and I have some issues with android platform to fix right now , I will test and give you feedback asap. I have a question , for a small project , that can get bigger in the future and must work on android , ios and uwp , do you recommend using FreshMvvm ? yes It did work fine for me ! this is awesome ! Thank you @JamesLavery ! You did really help me ! Great that it works and has helped. Can you explain what you mean by applying it on another page? Do you mean how to do navigation in FreshMvvm? yes , now I know I have to learn freshMvvm , what I asked you for is , in the example you did , we have one page , what if this page have a button to navigate to another page , and this new page , have the same content of the main page and bind from the model , show it shows the same content . 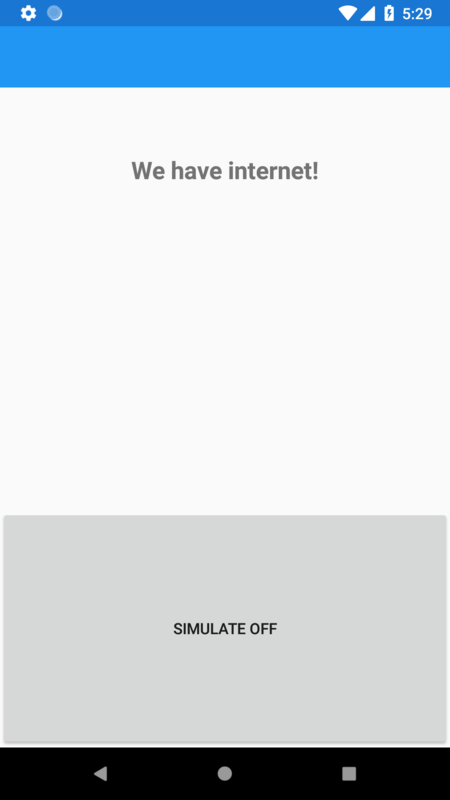 So you want to have the same 'internet not available' UI on more than one page? Each page having (presumably) its own content. Yes @JamesLavery , let's say we have eventhandler in each page , like connecting on internet , so we have to check on each page . Thanks @JamesLavery for everything , I guess I have to read it all to understand and keep up with the mvvm !